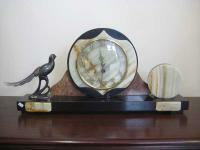 A superb Art Deco mantle clock made from marble and onyx with an 8 day movement. 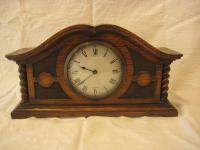 An attractive domed top Victorian oak mantle clock C1900. 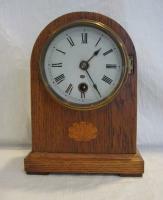 Eight day movement in excellent condition.